I actually can't believe that I am writing this... My second year of University is over. It seems absolutely crazy to be saying that, and that I only have another year of university to go before entering the big scary world. This year has been absolutely incredible, as cheesy as it sounds, it has probably been the best year so far. I felt like I could be myself, rather than trying to make friends and pretending that I loved clubbing and going out. The pressure has been so much less, and this I have loved. First year was all about the pressure. The pressure to fit in, the pressure to adapt so quickly to living by yourself and university life. 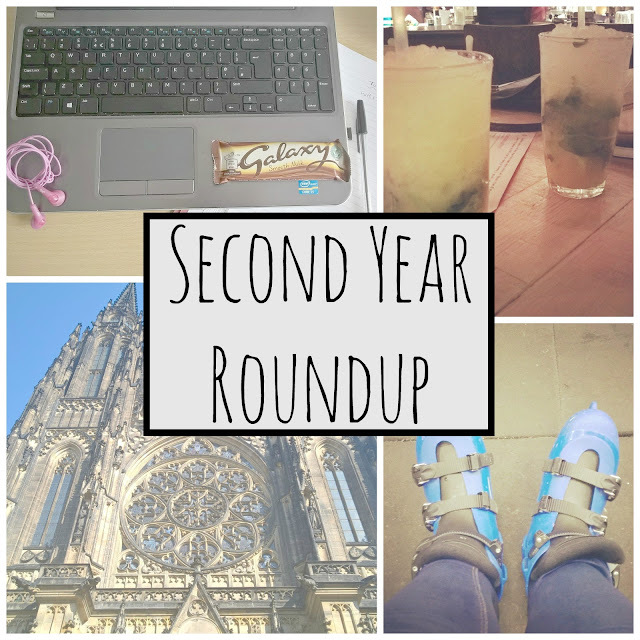 This year, I have drifted back into student life like it is 'old hat' rather than everything being new. My flatmates are amazing, and although the state of our student house annoys me no end, they know me so well. I don't say it enough to them, so if they are reading (I don't know, they could secretly be reading), then I love you all. This year, the opportunities have been amazing. The society that I am a part of has allowed me to gain new skills, meet loads of new people and given me the chance to be the producer of a show at the Edinburgh Fringe Festival this summer. I have got to know lots of people so much better and I think that I finally have some sort of idea of what I want to do after university life, something that I had no idea about this time last year. I went to Prague, rode a segway and went to a 5 floor club with these amazing people. Joining a society has definitely been the highlight of the year and something I would encourage everyone to do. It really opens up doors in ways that you can't imagine. It's so weird to think that this time last year, I was finishing first year after having an awful year. My mental health got the better of me and caused me to be scared to do anything. I would ring my mum in tears most nights as I was so anxious all the time. I tried to hide it from my flatmates that only made it worse. It isn't until one of your best friends tells you that she knew how much you suffered last year, and how well you have been doing this year that makes everything better. Things do get better. This year has been incredible, and here's hoping I can top it next year.